I have to say its been coming in handy that I have mass produced my backgrounds and stamping images in bulk as it was for this card. 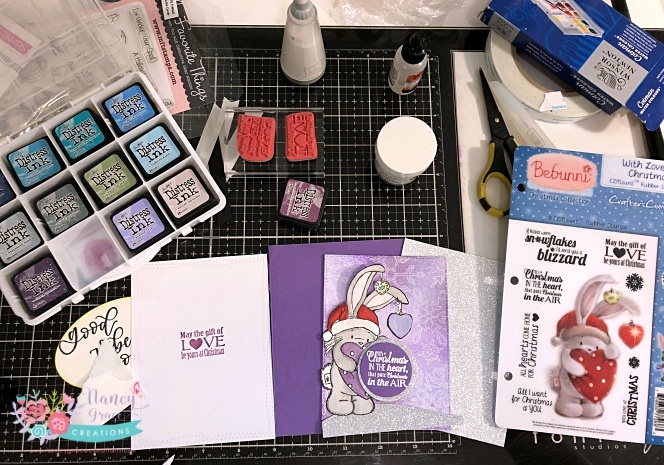 I created this adorable card using all the products I had stamped out last year for my Christmas cards and never had a chance to use. This has been helpful as my life with my twins has gotten a little hectic. 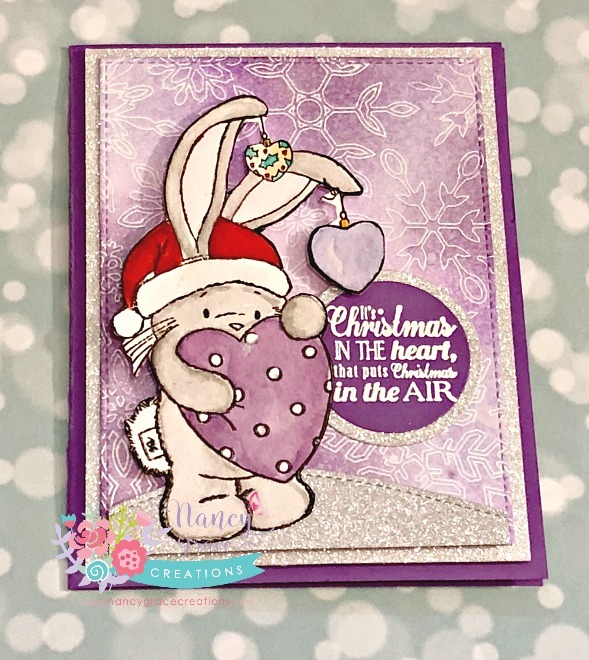 For this card I started with the background, I had stamped out numerous panels using a Memory box snowflake background stamp (which has sadly been retired so I linked to something similar below.) I stamped it on to Bristol card stock and heat embossed it with detailed white powder. Once I heat set it I went in with a few shades of my distress ink and went to town adding layers with my blending tool. I spritzed it with perfect Perl mix and set a side to dry. I set aside the panels and started to stamp the cute little bebunni stamp onto some water color paper using memento Tuxedo black ink. I went in and colored the images in with my zig clean color brushes and my peerless water colors. Once the bebunni was dry, I fussy cut the image out and used the memento tuxedo black pen to go around the image. The card itself is measured at 5½ x 4¼, I created the base using Grape delights card stock from Bazzil. I die cut down the main background panel using the my favorite things stitched rectangles to give some extra little interest. I layered the main panel on to some silver glitter paper that is about a ¼ inch bigger then the snowflake panel. I decided to also die cut a little silver hill to ground the bebunni and help set the sene of the card. For the sentiment I used the same color card stock as the base to die cut some circles out to stamp and heat emboss the sentiments onto. I decided to layer the sentiment onto more silver glitter cardstock to help tie it all together. 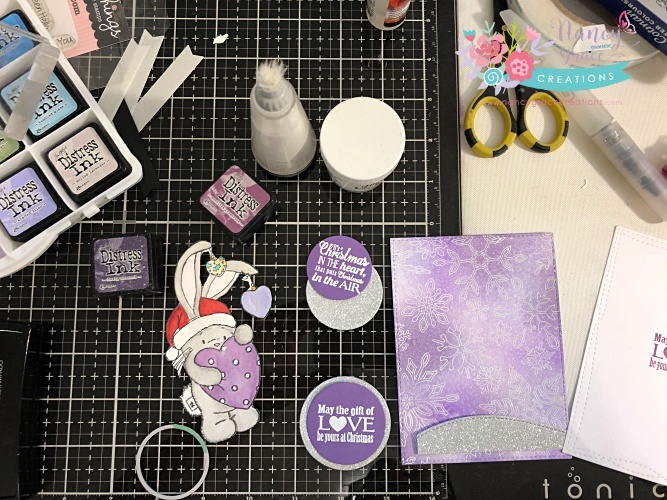 I hope you got inspired with my favorite holiday card and will come on over to the Cards In Envy blog and play along. Have a wonderful week and we look forward to seeing what you create.